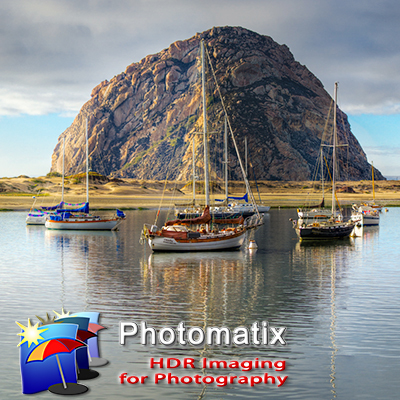 Another shot from our trip to Morro Bay on Tuesday. I added Rick to scene and then shot just like before. Three shots with the Canon 5D Mk II and EF 70-200mm f/4L at Ev of 0,-2, and +2. I processed all three shots with Photomatix Pro and it's Lightroom plug-in. Remember to turn off the Tone Curve and Sharpening before the export!